It’s Gin Show time again. The 67th annual Mid-South Farm & Gin Show – scheduled for March 1-2 at the Memphis Cook Convention Center – showcases more than 400 exhibitors, many providing products and services featuring the latest technologies and innovations for the cotton industry. The show traditionally attracts more than 18,000 attendees during its two-day run. 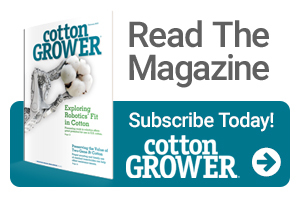 “We’ve seen cotton make a huge comeback,” says Tim Price, executive director of the Southern Cotton Ginners Association and show manager. “But that comeback has been challenged this past season by weather conditions. We’re learning all over what wetness can do to harvest, ginning and quality. Visitors to this year’s show will find some adjustments in the registration and exhibit areas to help minimize the effects of renovation and remodeling at the Convention Center. Registration moves to the Cannon Center lobby at the opposite end of the building, with the first exhibit area positioned nearby. Other meetings and educational sessions will also relocate to the Cannon Center. As usual, there is no cost to register and attend the show, and online registration is available – and strongly encouraged – at FarmandGinShow.com. A show app featuring details on exhibitors and special sessions, plus a show layout, is also available to download. The show opens at 9:00 am each day. The show’s popular Ag Outlook sessions are set for each morning, beginning at 8:30 am. On March 1, attendees will hear market outlook presentations from NCC Chairman Mike Tate and from Joe Nicosia of Louis Dreyfus Company, followed by a live broadcast of the Ag Watch Network’s marketing roundtable. 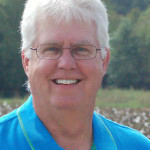 Richard Brock of Brock Associates will again present his popular grain marketing outlook on the morning of March 2.